Below are details of elearning companies in the USA, who offer a range of products and services, including online courses, custom content, training video, instructional design, LMS solutions and mobile application development. 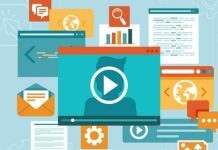 These US elearning providers can help you with delivering online health and safety training, regulatory / legal compliance, business skills development and more. 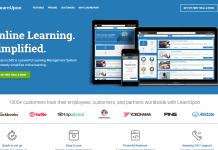 TalentLMS are one of the world’s leading cloud LMS providers, offering an easy to use, modular learning platform. 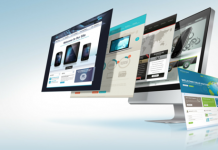 Their tools enable you to build your own elearning courses based on existing multimedia content, and make them available on a learning management system that’s customized to your branding and needs, as well as based on your own domain if desired. Everything is mobile friendly by default, and supports both SCORM and Tin Can / xAPI standards. While the TalentLMS solutions are designed with simplicity in mind, they are powerful and robus enough to be trusted by many of the world’s best known companies, including LG, DeLonghi, Rosetta Stone, Merck, Harper Collins Publishers and many more. Solo Learning have worked with organizations across all industries to design quality content, engaging eLearning modules and informative instructional materials that empower employees and drive performance and deliver desired and sustainable results. Aims Digital has spent over a decade creating meaningful learning experiences for customers across business verticals. Aims Digital possesses expertise in custom and rapid eLearning development, and learning solutions design. Apart from learning solution services, Aims Digital also offers the Vowel LMS – a learning management system that tracks all forms of media (including documents, presentations, video, and audio content) apart from standard compliant eLearning assets. Paradiso Solutions is a Silicon Valley based elearning product and services company. They provide end-to-end solutions to educational institutions and specialise in elearning Gamification. Paradiso Solutions provides blended learning management through mobile learning and cloud based LMS. 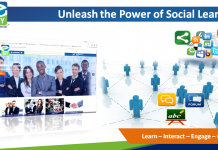 ej4 is a US elearning company founded in 2004 with the purpose of replacing expensive, long and ineffective leader-led training with short, tactical video-based learning that could be viewed any time at any place. Focusing on the 4 “J’s” (just as needed, just enough, just in time, and just right), ej4 launched our first programs and platform in 2004 featuring completely custom content. Since then, ej4 has transformed into a performance improvement powerhouse, averaging over 500 videos created per year through customer projects and consistent updates of our own off-the-shelf library, which now contains over 650 courses. We have always been and will always be focused on creating content that truly impacts the way organizations perform. Blackboard Inc are a developer of education software with their headquarters in Washington DC. 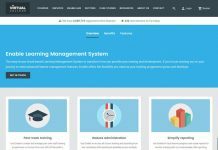 Blackboard are most notable for providing their proprietary Learning Management System to schools, universities and some corporations. Blackboard Inc offer six main platforms Blackboard Learn, Blackboard Transact, Blackboard Connect, Blackboard Mobile, Blackboard Collaborate and Blackboard Analytics. Webanywhere elearning Services USA provide internet learning and web solutions for businesses, education, charities and the public sector. Webanywhere offer customizable Moodle solutions, are TotaraLMS gold partners and offer their own Learnanywhere LMS. Furthermore they offer web-design (in popular platforms such as Joomla!, Drupal and WordPress) and e-portfolios services. For open source solutions using Moodle, you can find a list of US Moodle Partners at elearning Vision. SumTotal Systems are a software company based in Gainesville Florida that provide enterprise learning solutions to corporations of a variety of different sizes. The company uses the SaaS (Software as a Service) model to provide content to their clients. SumTotal offer both course content and Learning Managment Systems as part of their end-to-end solutions. You can find a more in depth company profile here. IntraLearn Software, founded in 1994, are a provider of Learning Management Systems, their software is based upon Microsoft properties such as .NET framework and Sharepoint. They aim for their software to be both customizable and scalable. Qustn Technologies Inc. builds mobile and web products in the HR technology space. Their first product – Qtrain – is a SaaS LMS, and it enables e-learning and engagement, allowing seamless delivery and tracking of various training modules aiding in recruitment, onboarding and assessments. Users can train anyone anywhere on any platform – mobile or web – usually at a cost less than a coffee.Apart from providing various learning and engagement solutions to global enterprises, Qustn also provides this product in a SaaS format, in a never-seen-before pay-per-use model. Taleo provide a number of end-to-end products for the management and training of corporate workforces. They provide solutions for talent management, recruiting, sourcing, assessment, onboarding, goals, performance, succession, development, learning, compensation and analytics. Saba provide software cloud based solutions for learning & development, talent management, testing, assessment, online collaboration and enterprise social networking. They provide products that cater to a variety of different industries and were founded in 1997 in California. 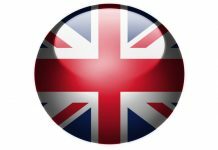 e-Learning Centre by Learning Light is an international provider of elearning courses including online courses ideally suited for the US Market. e-Learning Centre provides on-line training materials for 70 20 10 learning to assist with onboarding, employee engagement and retention. There are online courses available on demand, with a dedicated LMS or with an Enterprise License. THORS eLearning Solutions is a specialist in online education, applications and productivity tools, related to the manufacturing industry. One of the top elearning companies in the USA for specific industries, they offer relevant courses across many manufacturing industries that rapidly increase the Manufacturing IQ™ of the entire organization. They aim to bridge the knowledge and skills gap in the manufacturing industry by training new and existing personnel to create a highly efficient workforce.